Last Wednesday was pizza night at home. We bought three take-out pizzas from California Pizza Kitchen (CPK) for our dinner. 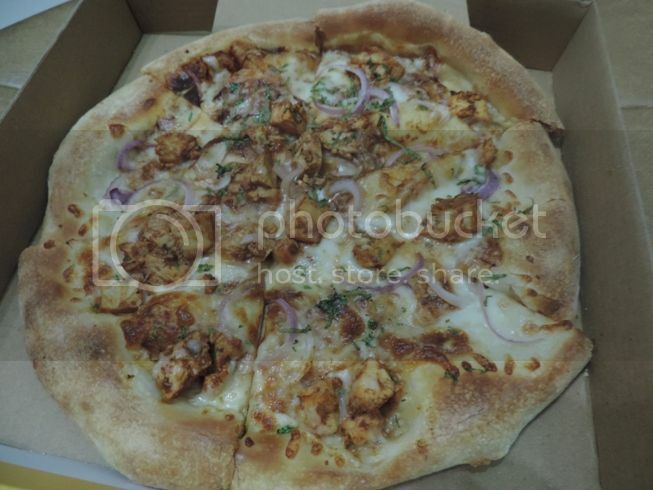 The Original BBQ Chicken Pizza was what hubby and I liked the most. This is CPK’s most popular pizza. It has barbecue sauce, smoked Gouda and Mozzarella cheeses. Our son liked the Five-Cheese and Fresh Tomato Pizza so much that he had three slices of this. 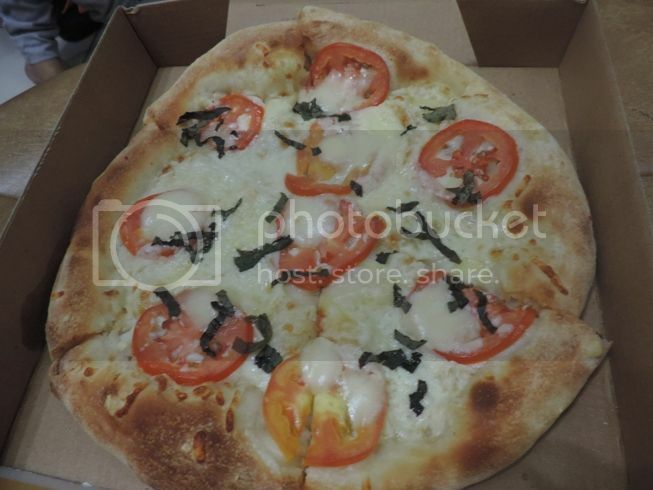 It has fresh sliced Rome tomatoes, basil, fresh Mozzarella, Monterey Jack, smoked Gouda, Mozzarella and shaved Pecorino Romano cheese. He didn’t want the basil and tomatoes, though, so he removed those from his pizza before eating. Pepperoni, Mozzarella cheese and tomato sauce are the main ingredients of CPK’s Pepperoni Pizza. This was okay, too, but it was our least favorite pizza among the three that we ordered. CPK is becoming one of our favorite pizza places because of the wide variety of food choices they have, and because we enjoyed our pizza night, we will do it again soon! What’s your favorite CPK pizza, by the way? 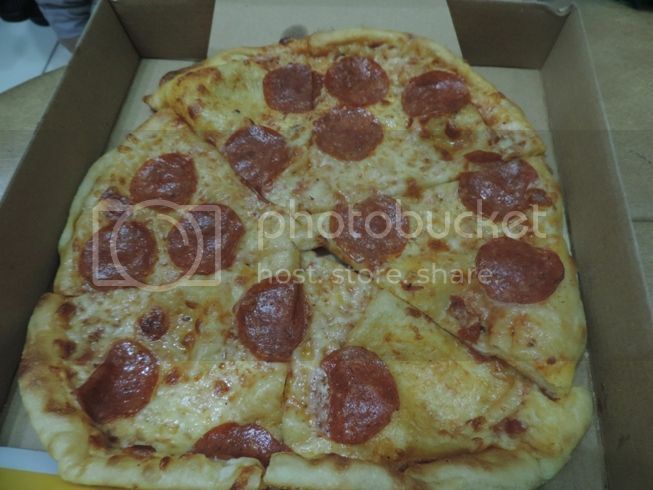 This entry was posted in California Pizza Kitchen, CPK, Five-Cheese and Fresh Tomato Pizza, Original BBQ Chicken Pizza, Pepperoni Pizza, Pizza Night. Bookmark the permalink. One Response to Pizza Night!